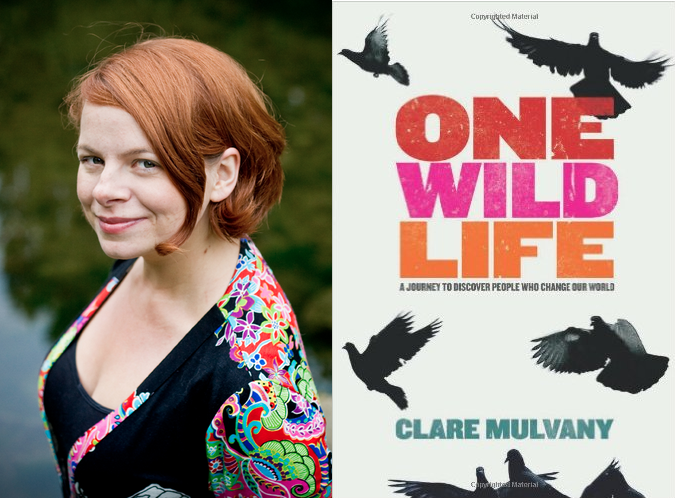 For eleven months, Clare Mulvany travelled the globe meeting people who have stepped off the beaten path to make a greater difference. Starting out in Ireland, Clare travelled through Africa, India, Asia, the Pacific and the United States, with her laptop and camera helping her along the way. The result is One Wild Life, a book about her journey to discover people who change our world. “I always say that it started with a fridge magnet, ‘WHATEVER YOU CAN DO, OR DREAM YOU CAN, BEGIN IT. BOLDNESS HAS GENIUS, POWER AND MAGIC IN IT’ and in many ways it did. I’d been running a Youth Leadership/Volunteer program with an organisation called Suas in Dublin for nearly three years. My particular role was working with university students. They would volunteer in schools in India and Kenya for 3 months during the summer, delivering educational services to schools. I’d bring them in on a 6-month program of personal development, and that in itself was a huge learning curve. I was 24 and I was majorly in at the deep end. That job and role prepared me for bigger challenges and the bigger picture and made me realise that the individual is a Change Agent and can have a lot of potential, particularly when combined with other individuals who are doing like-minded work. I was meeting people like Betty Nyagoha who works in a school in the slums of Nairobi, and I was meeting some other Social Entrepreneurs here in Ireland through my work in Suas. These people have incredible stories to tell but we don’t really here about them. There are modern day contemporary ‘Gandhi’s and ‘Martin Luther King’s, but they’re not role models which society looks up to. We think about international leaders like Mandela and even Bono, but they seem so removed from people, like they’re unattainable figures. Everyone’s a person, and everyone starts with a single step along his or her own journey. Everyone is a journey. So I thought, why don’t I tell those stories of individuals working overseas or working in development, working in Social Entrepreneurship? What do they do? How do they do it? Why do they do it? And what advice would they give to young people in particular about setting out on their own journey? I’d also read a book called Road Trip Nation a few months before starting out on this journey. It was about two young college students who drove around the United States interviewing business leaders about their life story. It was a really interesting concept, but the focus was very much on the individual rather than the collective, and I wanted to show how individuals could make a change in a collective kind of way. I also wanted a much more international book.